For smartphone-wielding hordes of tourists, Hong Kong boasts a host of must-have Instagram locations -- but crowds of snap-happy travellers are testing local patience and transforming once quaint pockets of the bustling metropolis. 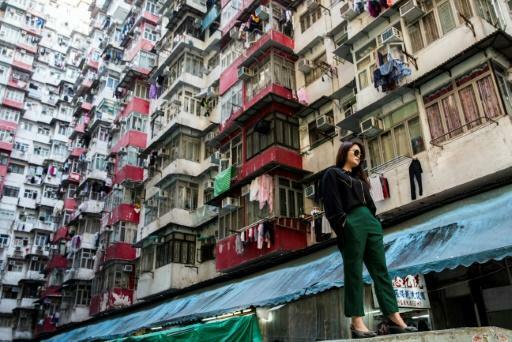 The buildings in Hong Kong's Quarry Bay are one of the city's best known residential complexes, famed for tightly-knit apartments towering above three sides of a thin courtyard. "You might say the elderly have made way for the photo takers' convenience, to not get in their way," Hui concedes. While the building had long been a draw for street photographers and architecture enthusiasts, social media has helped turn it into a mass tourist attraction, fuelled by it featuring as a location in a recent "Transformers" blockbuster and the remake of the Japanese manga classic "Ghost in the Shell". A high-end cafe opened in November to cater to this new market -- its sleek interiors and bright lighting a stark contrast to the more humble-looking neighbourhood shops and the public housing towers above. Taxis and cars honk restlessly as the tourists -- primarily from mainland China, South Korea and Taiwan but also western nations -- spill into the road to get their ideal frame seemingly oblivious to the safety issues. "I was taken aback as I didn't expect the crowds, but it's good for taking photos," Park says. "We have seen a few people hit by cars and vans on Graham but they tend to be the instagrammers who are transfixed on taking photos," he explains. "Their saving grace is the sharp corner -- vehicles entering Graham Street are going slowly. As far as I'm aware, none of my customers have been hit by cars, yet." 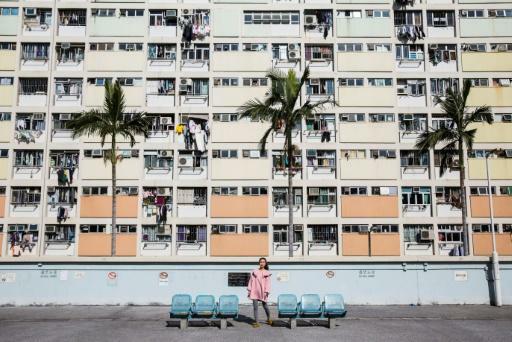 Hong Kong's unique urban aesthetics -- especially its public housing estates -- have proved enormously popular to social media obsessives. 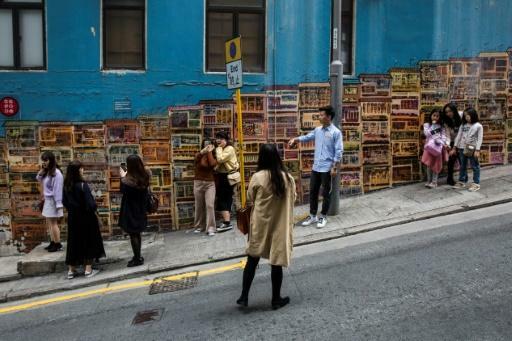 Critics say the crowds help romanticise poverty sharing images that provide only a shallow view of what it is to live in the one of the world's most unaffordable property markets. It is where Korean boy band Seventeen shot a music video and is now being promoted by the government's tourism bureau. "Many people have asked me how to get here and I give them directions, I don't mind... but I've had to ask some tourists not to leave their trash behind," he sighs. Today's teens have to navigate the groups of photographers as they play. He adds: "I once accidentally hit someone's phone."